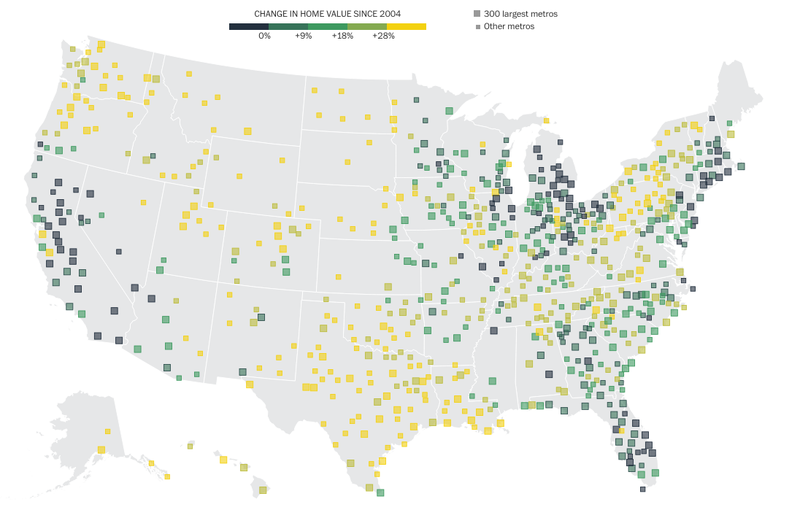 Fascinating analysis and interactive too from the Washington Post, looking at the post-crisis housing recovery. Not surprisingly, it is unevenly distributed. This seems to be be a common aspect of this recovery, or perhaps a broader, secular change in the United States. Hard to tell of these are the laggards from the bubble doing well, or something else entirely.